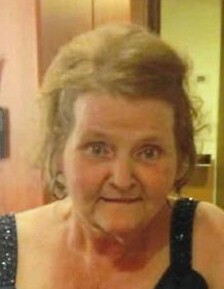 Deborah Gray Schwartz, 64 of Newport, Kentucky passed away Thursday evening at her home after an extended illness. She was born in East Chicago, Indiana on March 3, 1955 to the late Austin and Loretta Blankenbeckler Gray. Deborah along with her late husband were self-employed truckdrivers. She enjoyed spending time with her family, flower arranging and doing crafts. Besides her parents she was preceded in death by her husband Frederick William Schwartz, III. Survivors include three sons, Frederick William Schwartz, IV and his wife Angela of Burlington, Kentucky, William Michael Schwartz and Michael William Schwartz and his wife Angel all of Newport, Kentucky. One brother, Tom Gray of Cincinnati, Ohio, Two sisters, Nona Kay Lawson of Cincinnati, Ohio and Sharolet Weitlauf of Newport, Kentucky. Eight grandchildren, Frederick William Schwartz, V, Chris Peters, Alyssa Schwartz, Austin Peters, Teri Long, Derek Perez, Nicholas Long and Michael William Schwartz, II. Two nieces and three nephews. Funeral services will be conducted 1:00 p.m. Tuesday in the chapel of the Michael R. Gray Funeral Home in Morehead. Burial will follow in the Hampton Cemetery in Elliott County. Visitation at the Michael R. Gray Funeral Home in Morehead is after 11:00 a.m. Tuesday. Family and friends will serve as pall bearers. The Michael R. Gray Funeral Home in Morehead is caring for all arrangements for Deborah Gray Schwartz.